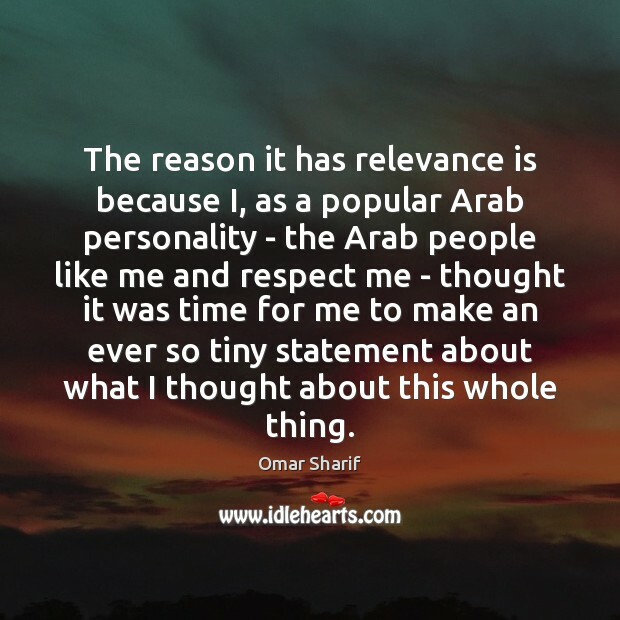 Quotations about Arab. Quotes to stimulate mind and drive action! Use the words and quote images to feed your brain inspiring things daily! I've been working on the margins and I was aware of this choice from the start. 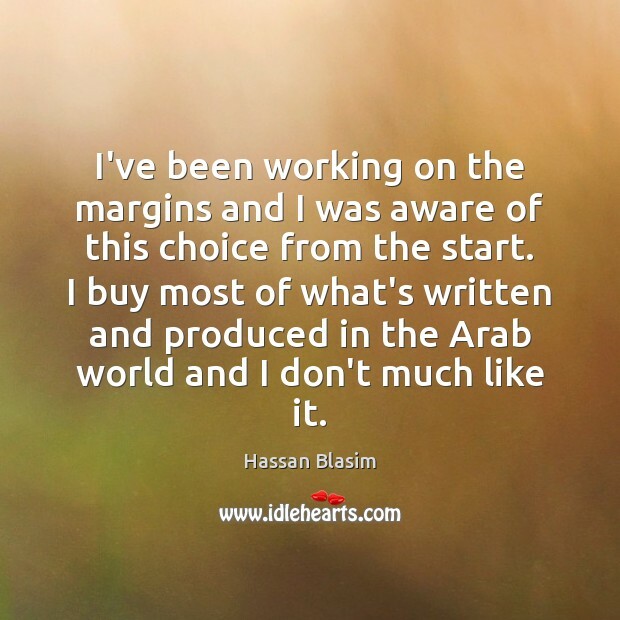 I buy most of what's written and produced in the Arab world and I don't much like it. 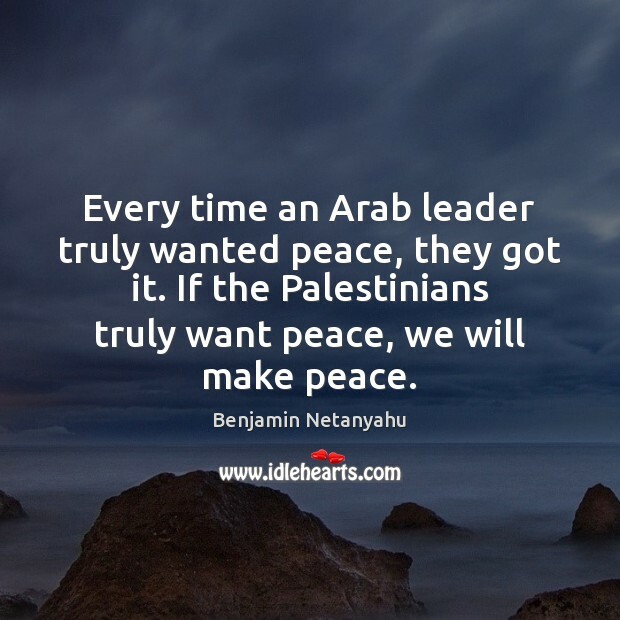 Every time an Arab leader truly wanted peace, they got it. 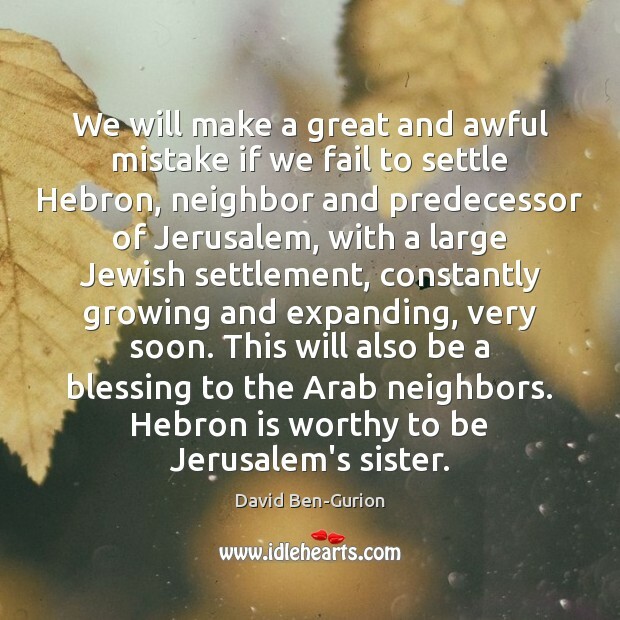 If the Palestinians truly want peace, we will make peace. They fled. The American louts fled. 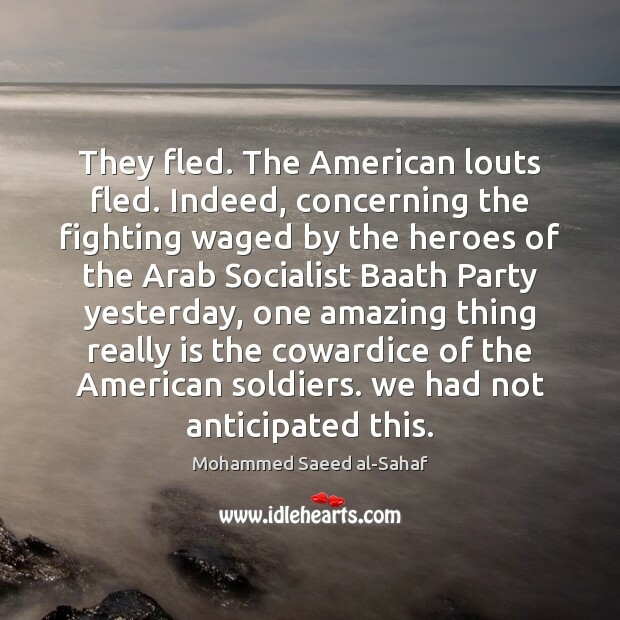 Indeed, concerning the fighting waged by the heroes of the Arab Socialist Baath Party yesterday, one amazing thing really is the cowardice of the American soldiers. we had not anticipated this. 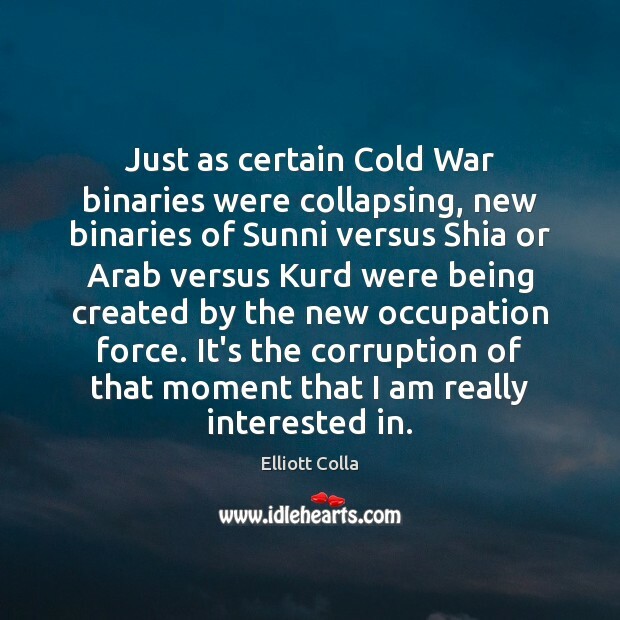 Just as certain Cold War binaries were collapsing, new binaries of Sunni versus Shia or Arab versus Kurd were being created by the new occupation force. It's the corruption of that moment that I am really interested in. 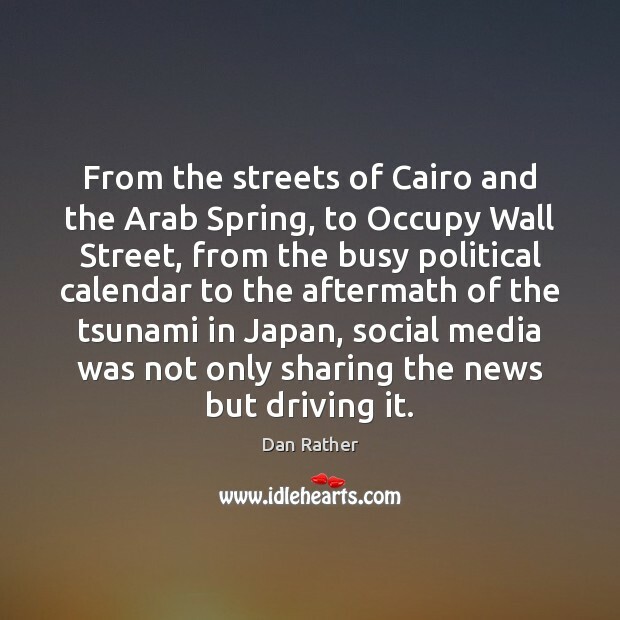 From the streets of Cairo and the Arab Spring, to Occupy Wall Street, from the busy political calendar to the aftermath of the tsunami in Japan, social media was not only sharing the news but driving it. In the Islamic world, the U.S. is seen in two quite different ways. One view recognizes what an extraordinary country the U.S. is. 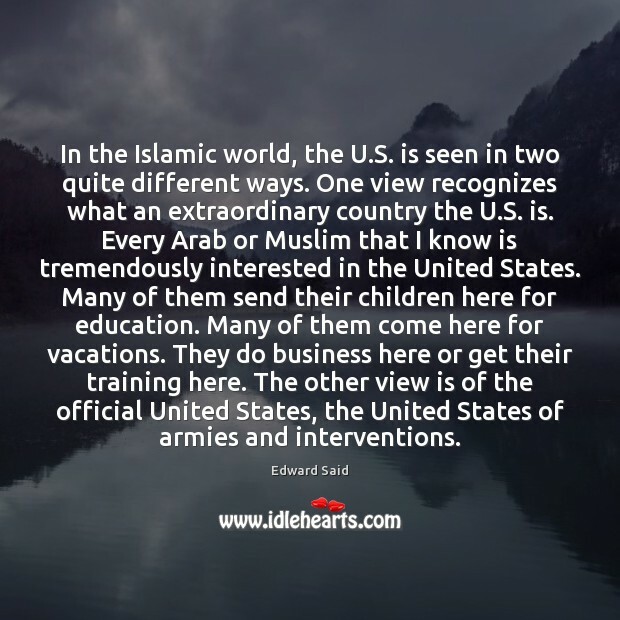 Every Arab or Muslim that I know is tremendously interested in the United States. Many of them send their children here for education. Many of them come here for vacations. They do business here or get their training here. The other view is of the official United States, the United States of armies and interventions. Throughout the Arab and Islamic world the feeling is that we are now in top gear for a war of civilizations, a clash of civilizations. Support for the United States is very low and there are no voices within the Muslim world, except for a very few. 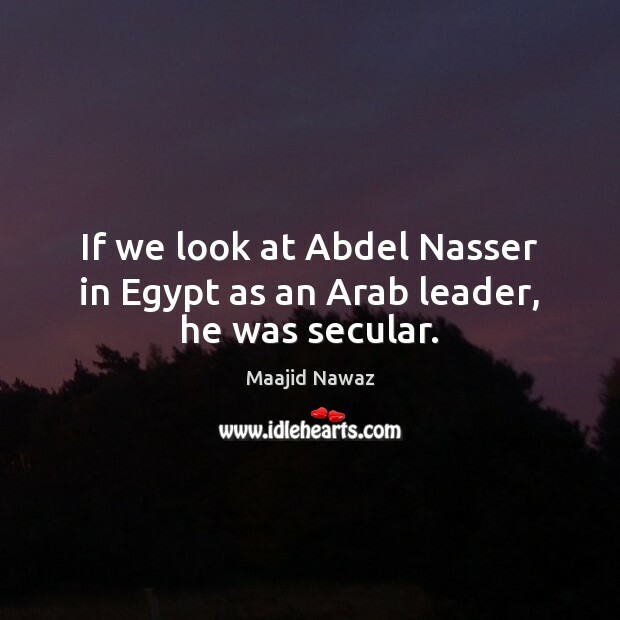 If we look at Abdel Nasser in Egypt as an Arab leader, he was secular. 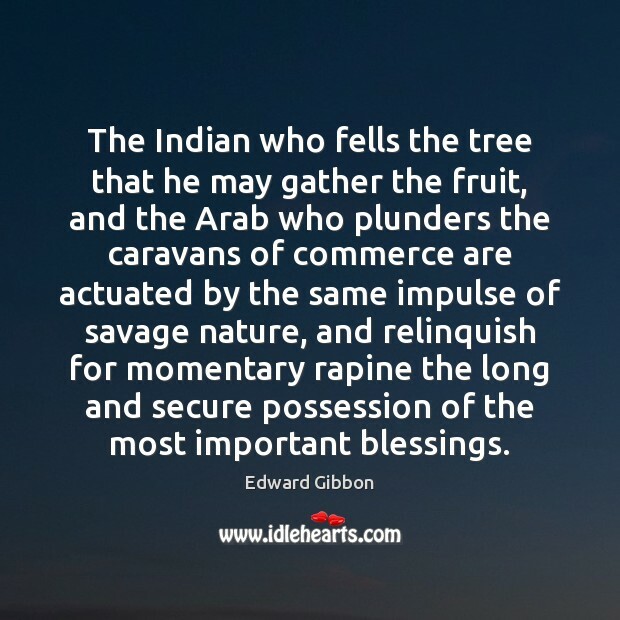 The Indian who fells the tree that he may gather the fruit, and the Arab who plunders the caravans of commerce are actuated by the same impulse of savage nature, and relinquish for momentary rapine the long and secure possession of the most important blessings. 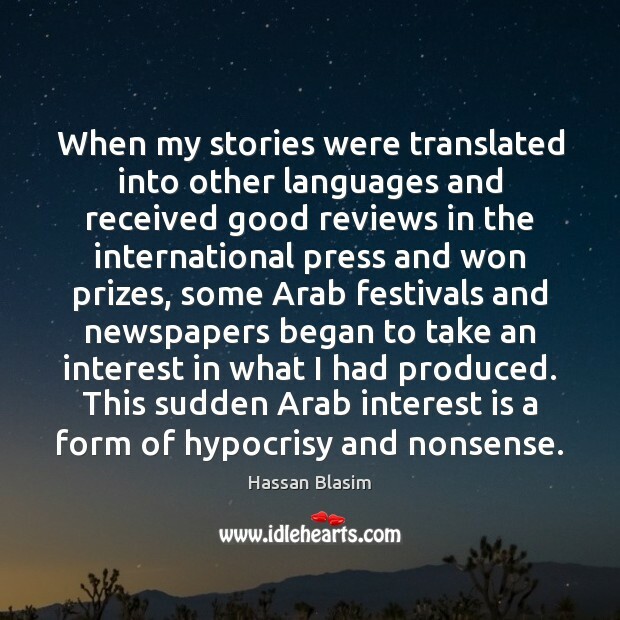 When my stories were translated into other languages and received good reviews in the international press and won prizes, some Arab festivals and newspapers began to take an interest in what I had produced. 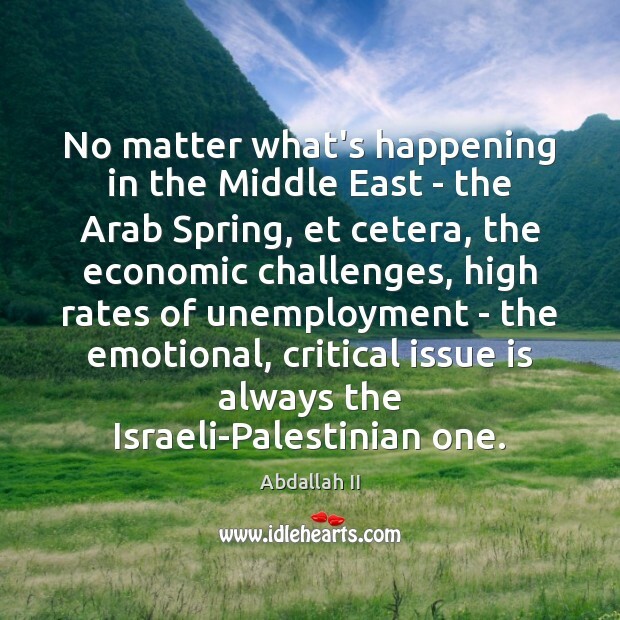 This sudden Arab interest is a form of hypocrisy and nonsense. The Arab rulers are basically unpopular. They are supported by the United States against the wishes of their people. 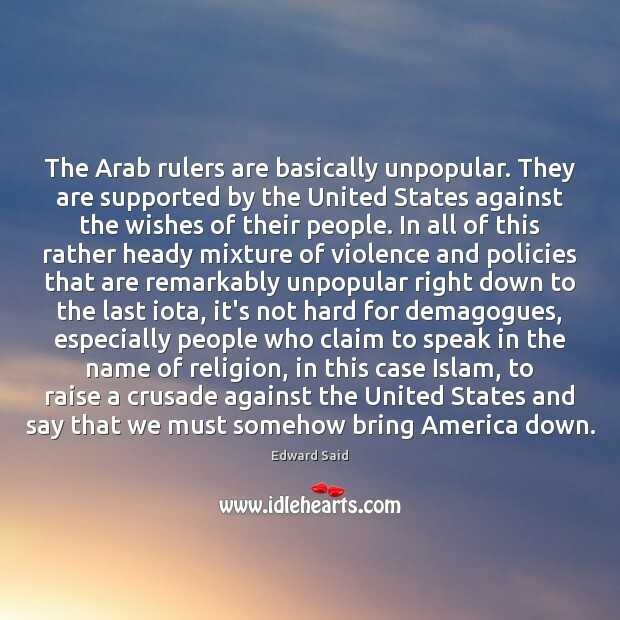 In all of this rather heady mixture of violence and policies that are remarkably unpopular right down to the last iota, it's not hard for demagogues, especially people who claim to speak in the name of religion, in this case Islam, to raise a crusade against the United States and say that we must somehow bring America down. 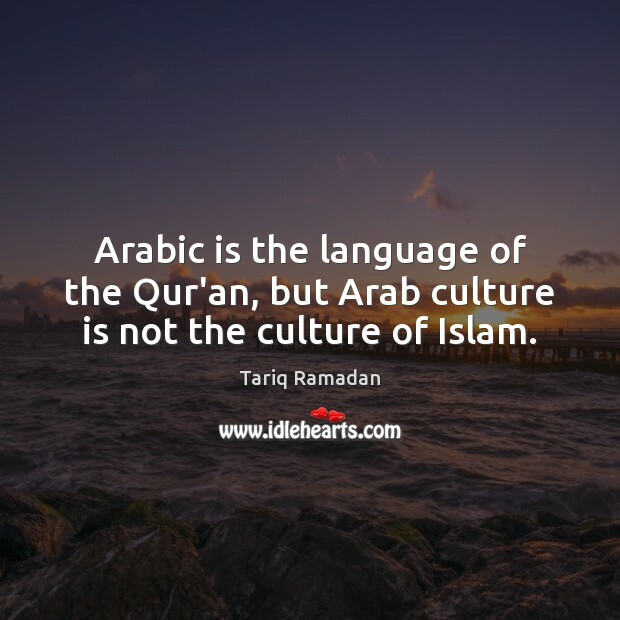 Arabic is the language of the Qur'an, but Arab culture is not the culture of Islam. What I tried to do is to present the evidence that's available and that no one has been able to refute. 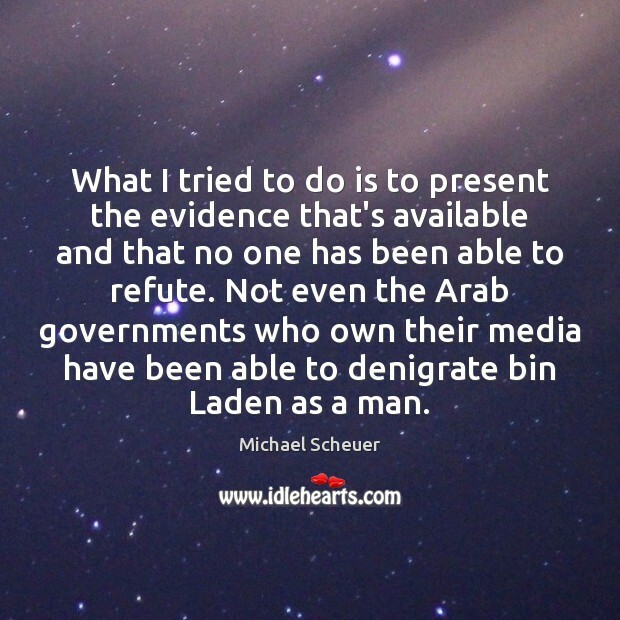 Not even the Arab governments who own their media have been able to denigrate bin Laden as a man. The terrorists are traitors to their own faith, trying, in effect, to hijack Islam itself. 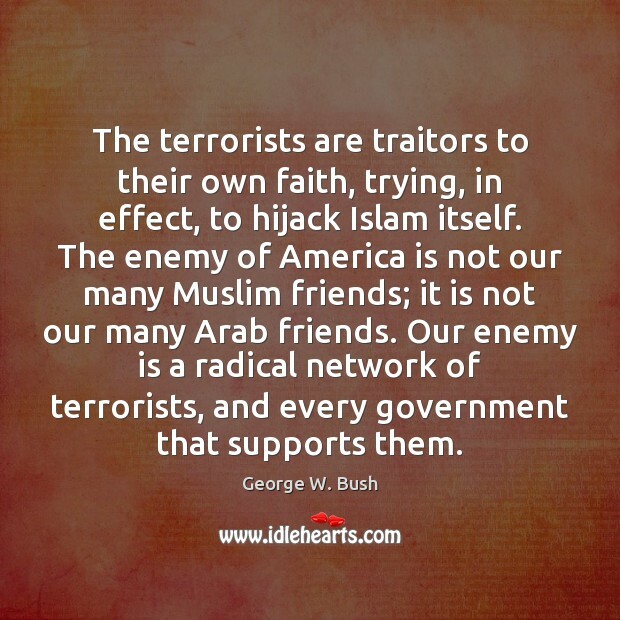 The enemy of America is not our many Muslim friends; it is not our many Arab friends. Our enemy is a radical network of terrorists, and every government that supports them.